1) Tampa celebrates its past with the eighth annual Cigar Heritage Festival November 18 in Ybor City, the community once known as the “Cigar Capital of the World.” The day-long street party attracts thousands of visitors and features entertainment, a beer garden, food vendors, displays, and lots of cigars for sale. 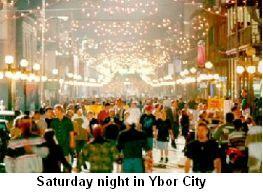 You can get complete information and check out pictures from last year’s party at the Ybor City Museum website. Admission to the festival is free, with a donation suggested to support the museum. And the night before you can attend the Cigars & Stars II party presented by Cigar City Magazine – a local publication devoted to the area’s history that’s celebrating its second anniversary – and Fuente’s Tampa Sweethearts Cigar Co. While this one isn’t free, the $100 admission tab includes food, drink, entertainment, an auction, and Fuente cigars. 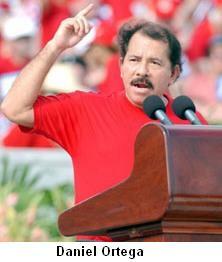 3) Speaking of Marxist dictators, Hugo Chavez’s Venezuela may be the next up-and-coming cigar country. Currently the South American nation accounts for only a tiny fraction of cigars imported into the U.S., and even many of America’s most serious cigar enthusiasts probably have not tried a Venezuelan cigar. This may soon change. Despite heated words between Chavez and the U.S., there is no tobacco embargo and, according importer Michael DeLisa – who is also the author of the book “Cinderella Man,” which was turned into a movie starring Russell Crowe – Venezuelan output should crank up to one million cigars a day in the coming months. 4) In last week’s Friday Sampler, we passed along a fantastic eight premium cigars for ten bucks deal. But due to some technical problems beyond our control, some of you might have had trouble finding it. So now that we’ve got everything worked out – we even tested it out by ordering some ourselves – we’re reminding you again. To take advantage of this steal of a deal, click here: 8 Cigar Sampler # 1, Pack Of 8, (Limited Qty) . 5) Finally, because one deal just isn’t enough, we want to pass on another bargain. On the back of the current issue of the political magazine National Review, we found an offer for four Romeo y Julieta Reserva Real cigars (the No. 2, Toro, Robusto, and Churchill) for just $7.95 including shipping. To take advantage of this, offer click here. How does the Resrva Real compare to the regular and vintage RyJ lines? If you ask me, they're all fine cigars. 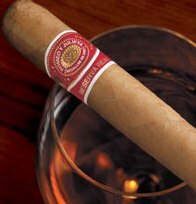 You can't lose with a Romeo y Julieta. I think the Reserva Real line is slightly fuller with a deep, woodsy taste. The Vintage is creamier with a bit of cocoa. I haven't the Reserva Real yet (I've got one aging in my humidor). Both got impressive scores of four and 1/2 stogies! Why are all the good cigar countries ruled by commie pinko bastards?! ?